Friendly and comfortable home situated on eight acres. Rural split level, one doubleupper level, one queen and one single lowerlevel. Guests share bathrooms with family.Laundry facilities at added charge. T.V., V.C.R.fireplace sunroom, patio, fire pit, parking/plug-ins. No smoking, no pets. Residentoutdoor cats. Special diet requirements by prior arrangement. Daily rates: double$110.00, single $65.00 including full breakfast. Tranquil rural surroundings with outstanding garden. Marjorie and Albert invite you to relax and watch a wide variety of birds while enjoying a cool drink and/or a guided tour of the garden. The forest is full of interesting native flora during the summer. Be sure to bring your camera and capture the wonders of your Country Pleasures and Treasures Driving Tour. ​Conveniently located to excellent restaurants, golfing, swimming and walking trails in and around Drayton Valley. ​We can’t wait to meet you.Remember strangers are friends you haven’t yet met! Tired of the Hotel scene? We offer executive class rooms for an amazing value. Close to the town core yet off in a quiet country estate setting. 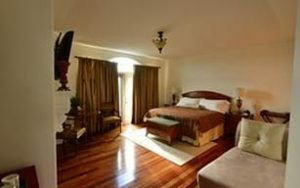 Our Executive Guest House offers the finest furnishing that you would only find in the luxury hotel resorts of the rockies. A fabulous breakfast will be ready for you in our dining room each morning of your stay with us. We look forward to being your Drayton Valley accommodation provider. 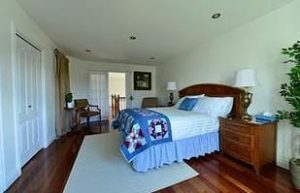 River Ravine Bed and Breakfast established in 2013, our Country Estate living enables our guests to truly unwind themselves from the hustle and bustle of the town. Stacy Malcolm welcomes you each morning with a delicious breakfast made from her favourite recipes collected through out her travels.